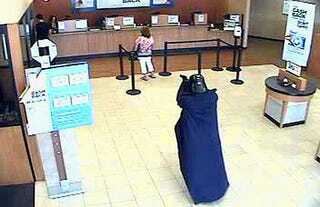 At 11:30 AM yesterday, Darth Vader robbed a Chase bank in Setauket, NY. Brandishing a pistol and camouflage pants, Vader tussled with an incredulous customer and left with an unknown amount of cash. Hey, Death Stars don't grow on trees.